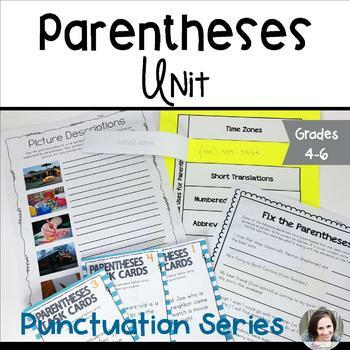 This 19 page parentheses unit made up of two lessons, group activities, practice pages, and task cards. It is the seventh in a series of punctuation units. 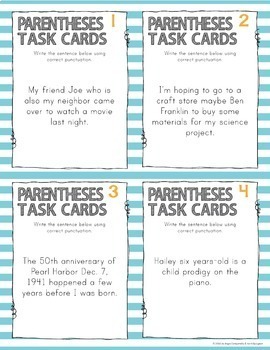 They were written for grades 4-6, although they may be appropriate for some grade 3 classrooms also. Also included is a poster on parentheses. 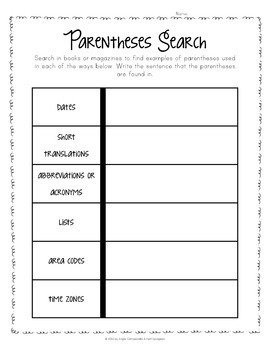 - Other uses for parentheses - including parentheses used in translations, phone numbers, time zones, etc. 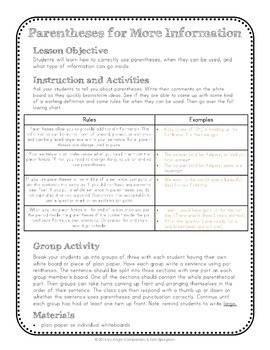 Take a look at the preview file to see more of what is included in this unit.